LARIMER COUNTY, Colo. - Extra patrols have been added along Interstate 25 in Colorado where several people have reported their vehicle windows shattered. According to CBS Denver, authorities are still puzzled as to what's behind all the damage. The station reports there have been eight reports of shattered windows along the I-25 corridor in North Colorado since April 21. Three of those were reported on Wednesday. So far, authorities have only been able to attribute one of the bizarre incidents to gunfire. On April 22, someone shot out Cori Romero's car window as she entered the highway near Fort Collins. 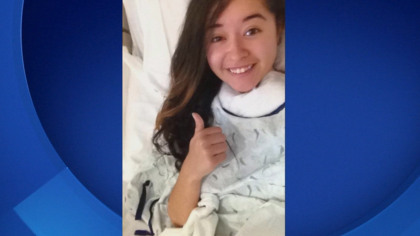 The 20-year-old was shot in the neck but survived. No arrests have been made in Romero's shooting and investigators are still trying to determine whether it is connected to the other shattered window incidents. Multiple agencies are involved in the investigation, which is ongoing.